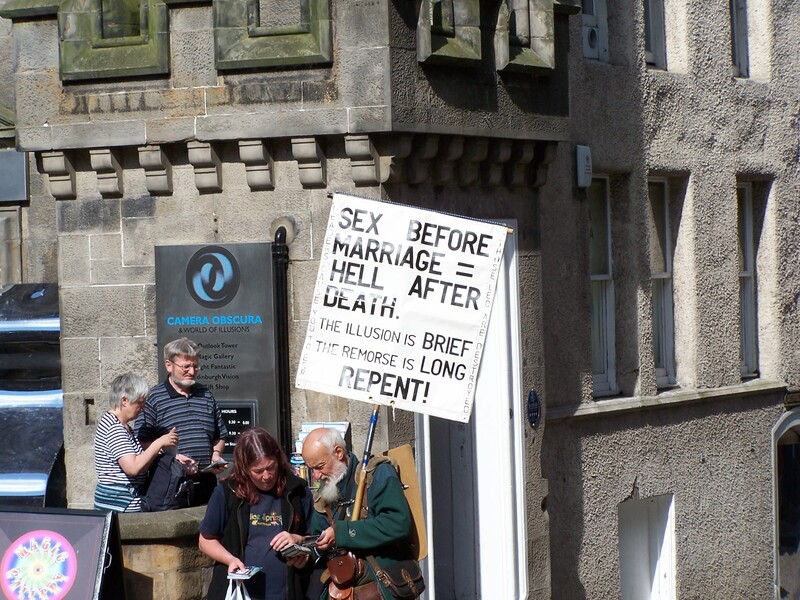 I took this photo of a street preacher and his fantastic sign in Edinburgh, Scotland a few years ago. What great local color! This entry was posted in Seeking a Sign and tagged Edinburgh, sign, street preacher by tarvasalutes. Bookmark the permalink.